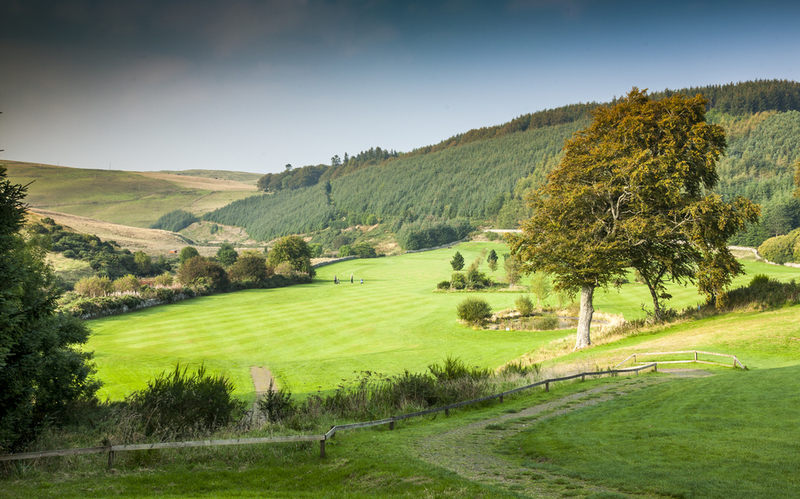 The Signature hole is set in a natural amphitheatre with stunning views up the valley. Playing from an elevated tee this par five requires an accurate tee shot to avoid the well placed pond on the right side and the out of bounds all the way up the left side. With fairway bunkers leading up to the two tier green accuracy is the name of the game on this memorable hole. Tip. You must straight as anything going left or right will end up in trouble.